Save big on all aviation calendars on this website from Black Friday all the way to Cyber Monday! 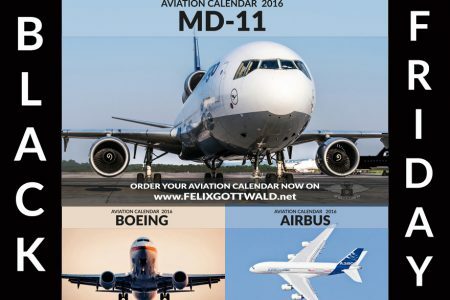 This weekend marks the beginning of the christmas season with super-low prices for the Airbus, Boeing and MD-11 Aviation Calendars 2016 – any calendar for just 19.99 EUR (plus shipping)! There is nothing you need to do, no coupon codes or anything else. Simply order online right now!